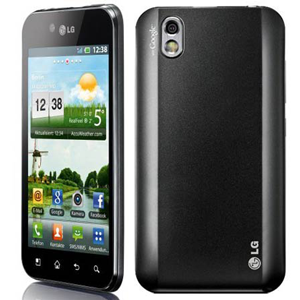 The LG Optimus Black is an Android smartphone powered by a Texas Instruments OMAP processor clocked at 1.0 GHz. It has a 4" WVGA NOVA display with a 480x800 resolution. It goes by several names depending on the carrier, such as the LG Marquee and LG Majestic. It has 2 GB of on-board storage which can be expanded up to 32 GB via its microSD slot.